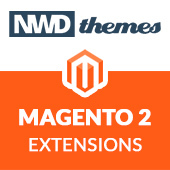 Magento 2 comes with built-in powerful command-line interface tool. It allows you to perform wide variaty of tasks including installation, configuration, database backups, compiling LESS etc. If you missing a feature, you can extend it with your own commands set. You will find using magento 2 command-line interface (CLI) commands pretty handy. Did you know the fact that all magento 2 console commands has short form? Check Magento 2: Console Commands Shortcuts. This command unlocks an admin account by its username. types Space-separated list of cache types or omit to apply to all cache types. mode The application mode to set. Available options are "developer" or "production"
Collects and publishes source files for theme. Generates the catalog of URNs to *.xsd mappings for the IDE to highlight xml. 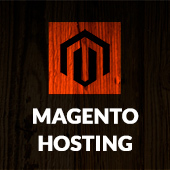 --magento (-m) Use the --magento parameter to specify the directory is the Magento root directory. Omit the parameter if the directory is not the Magento root directory. index Space-separated list of index types or omit to apply to all indexes. --use-secure Use secure URLs. Enable this option only if SSL is available. --dry-run (-d) If specified, then no files will be actually deployed. --keep-generated Prevents generated code from being deleted. We discourage using this option except when deploying to production. Consult your system integrator or administrator for more information. --clear-static-content (-c) Clear generated static view files. Magento 2 cli, magento. permalink.